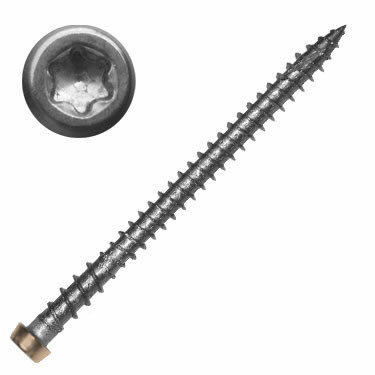 Includes Free T-20 Bit Our C-Deck ACQ Compatible C-Deck composite deck screws offers excellent performance in all composite, PVC & wood decking! It is a TREX® Approved fastener. Eliminates composite mushrooming, saving you countless hours on the job site. Leaves your project looking clean and professional! This screw will start easily and drives with less torque. Available in 75ct, 350ct and 1750 ct packaging.